Celebrate Cinco de Mayo! 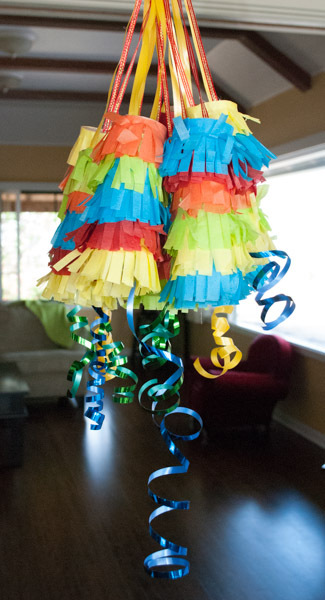 Create festive, individual piñatas that can be used as decorations, or colorful treat holders for partygoers big and small. 1. 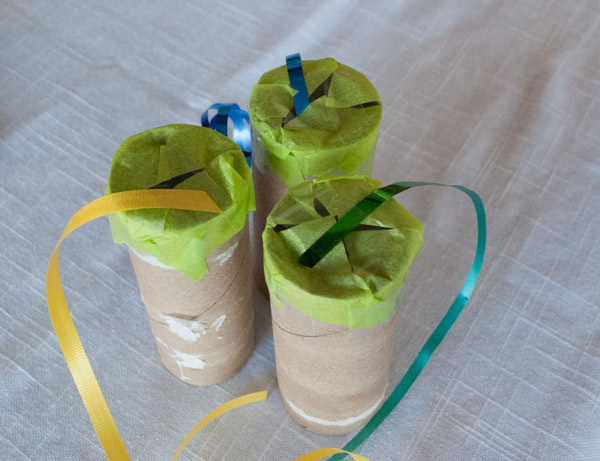 Cut tissue paper into 2-inch squares, one for each cardboard tube. 4. Do so for each cardboard tube. 5. 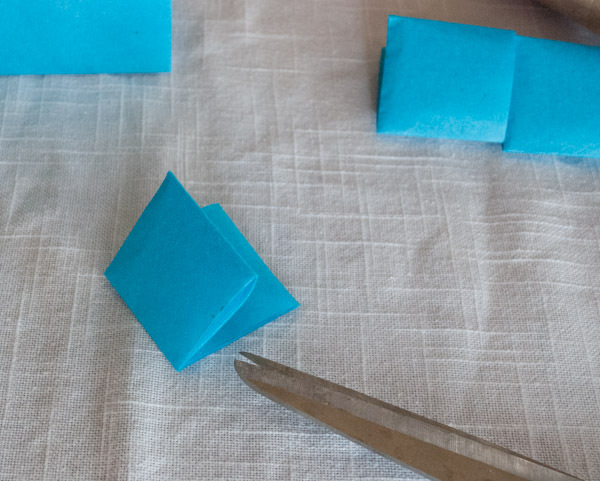 Choose a different color of tissue paper and fold it lengthwise to about 1-inch deep. 6. Cut this piece into rectangles, approximately 1 ½-inches wide. 7. Orient a rectangle of cut paper like a little book, with the folded edge on the left. 8. On the bottom, cut 4 to 5 slits, leaving about ¼-inch at the top. 9. 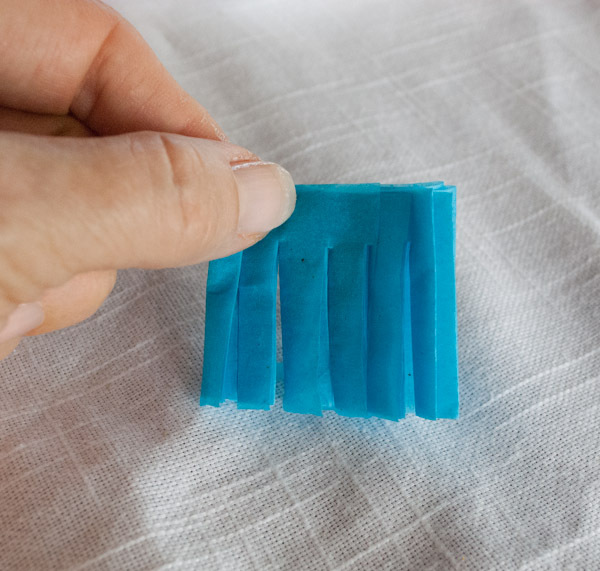 Unfold this piece and glue it around the bottom of a tube. 10. Choose a different color and repeat steps above. 11. Continue cutting and gluing the tissue paper until the tubes are colored. 12. 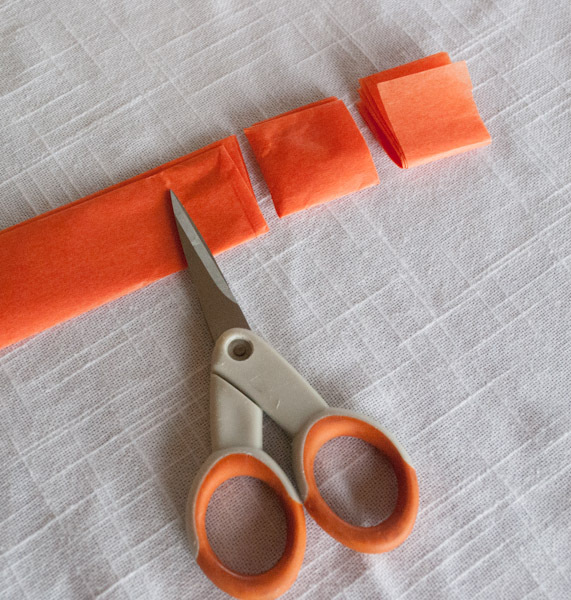 Use a glue gun to attach a 12-inch piece of ribbon to the top of each tube. 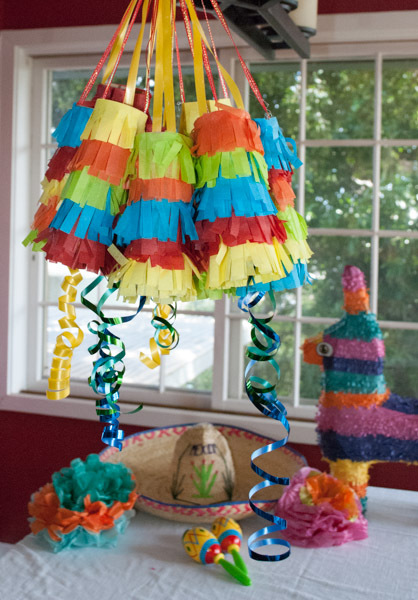 Right before the guests arrive, hang the piñatas and gently fill them with lightweight trinkets and/or candy. 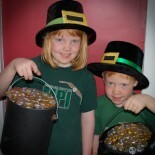 Guests can pull the bottom string to dispense their goodies. 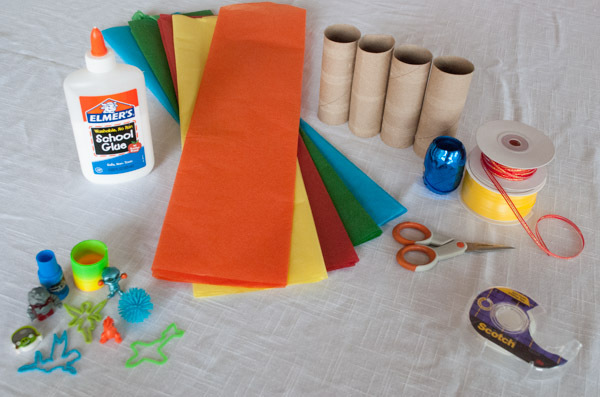 Once you get going, you may find it easier NOT to unfold the tissue paper completely when gluing it on the tube. 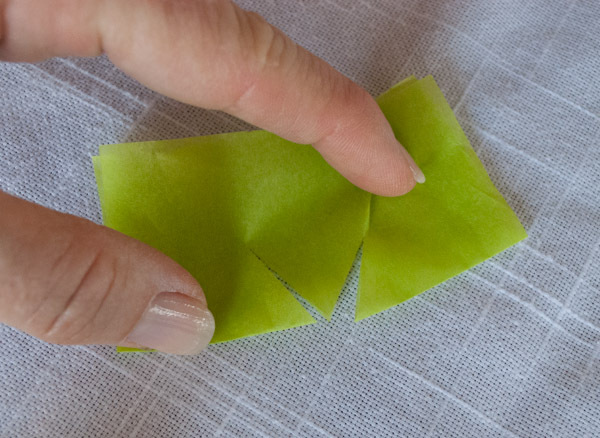 It may be easier to leave it folded in half, then glue it on. Alternate the order of the colors for a more eclectic, less uniform look. Thanks to loveandecupcakesblog.com for the idea and instructions. 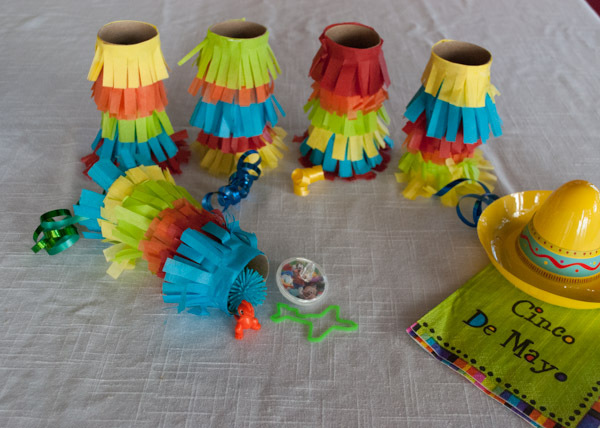 This entry was posted on April 29, 2014 by mdaucello in Cinco de Mayo, Crafts, Crafts, Holidays and tagged cinco de mayo, craft, holiday, pinata, tissue paper, toilet paper tube.